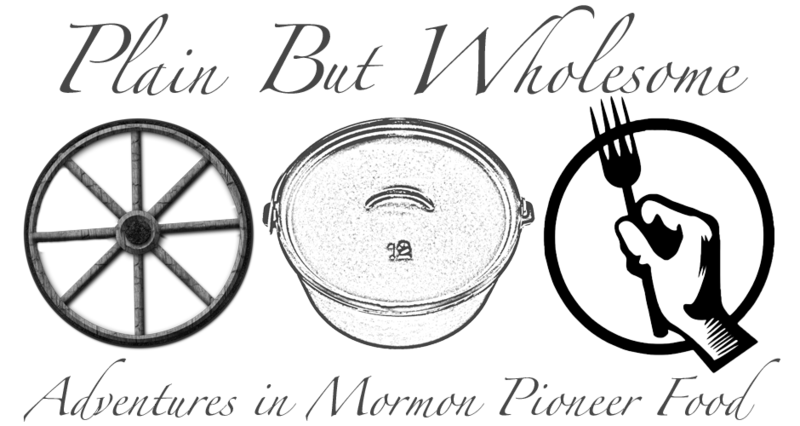 A week or two ago I got some explicit direction from the Press about what I need to do to make my manuscript acceptible, but I haven't done any of it because I'm working to finish the oven. Here are some photos of the latest progression of work on the oven. 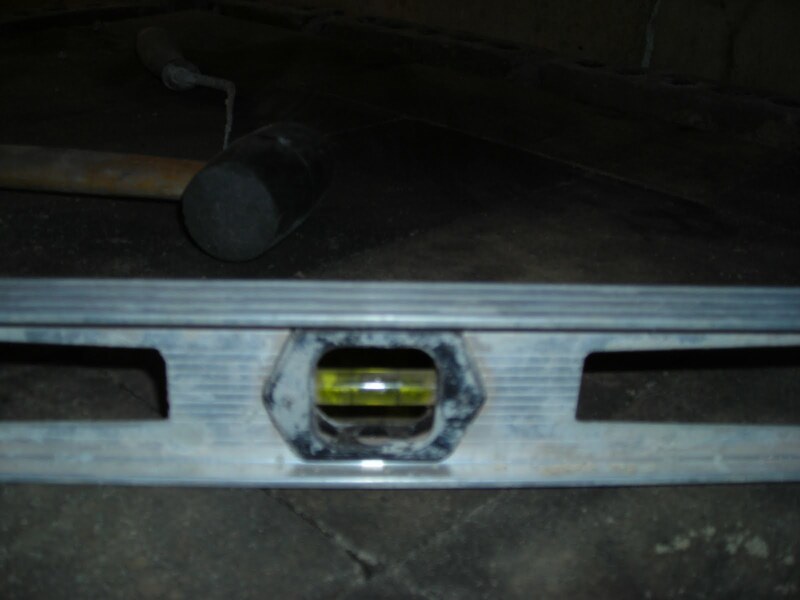 Here you see the understructure. The center wall provides support for the concrete slab that will sit above it. The two arched openings are simply access to the area under the oven. The purpose to this point was to elevate the slab to a standing work level. 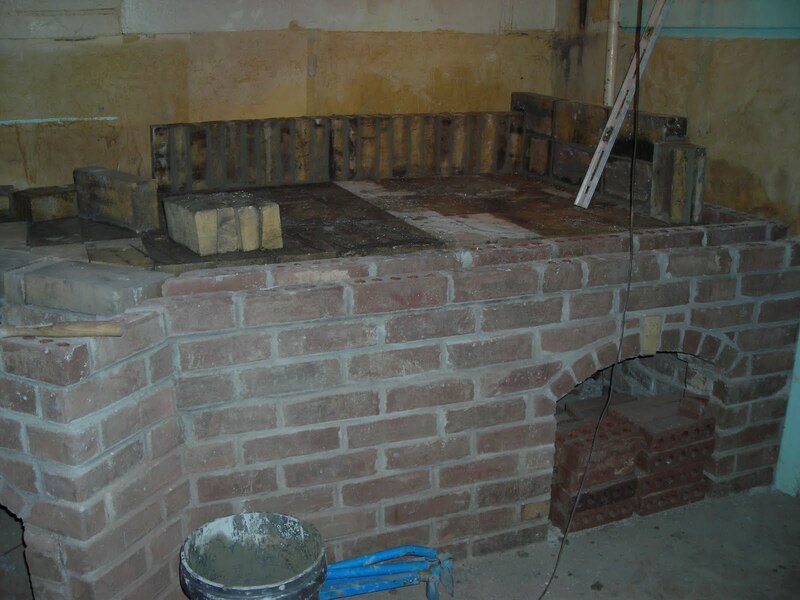 Here you see the hearth bricks after the slab has been poured. 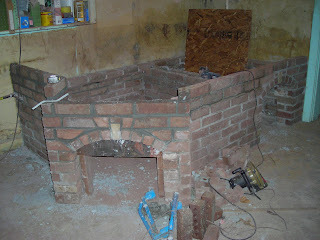 I put a couple of inches of sand on top of the slab and then leveled the bricks into the sand. 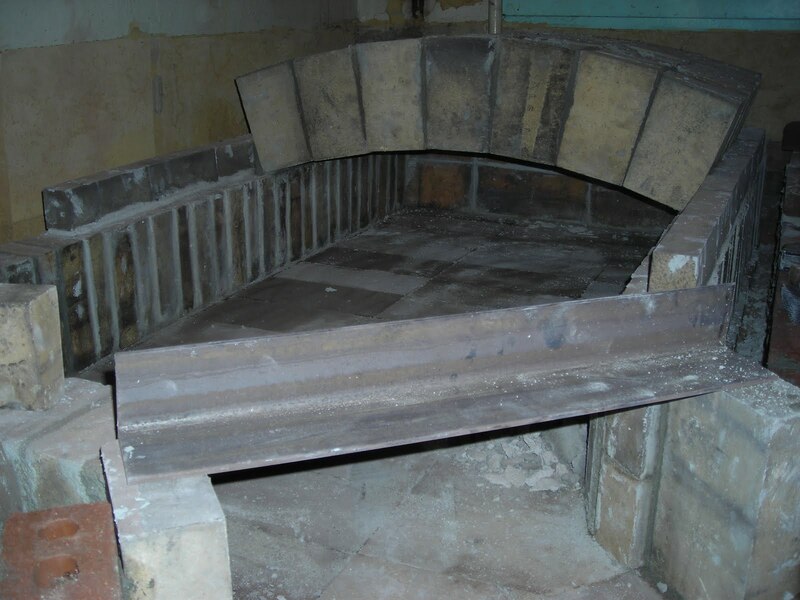 Here you see the arch of the roof beginning to take shape over the oven floor. 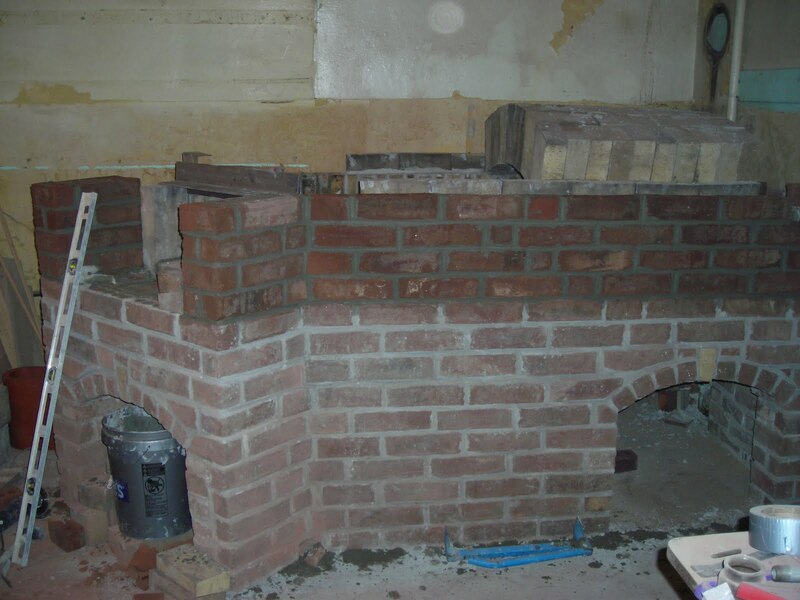 The bricks for the roof came cut as keystone shapes, which made the arch a little easier to fit. Here you see the facade, and the sidewalls of the oven door opening. 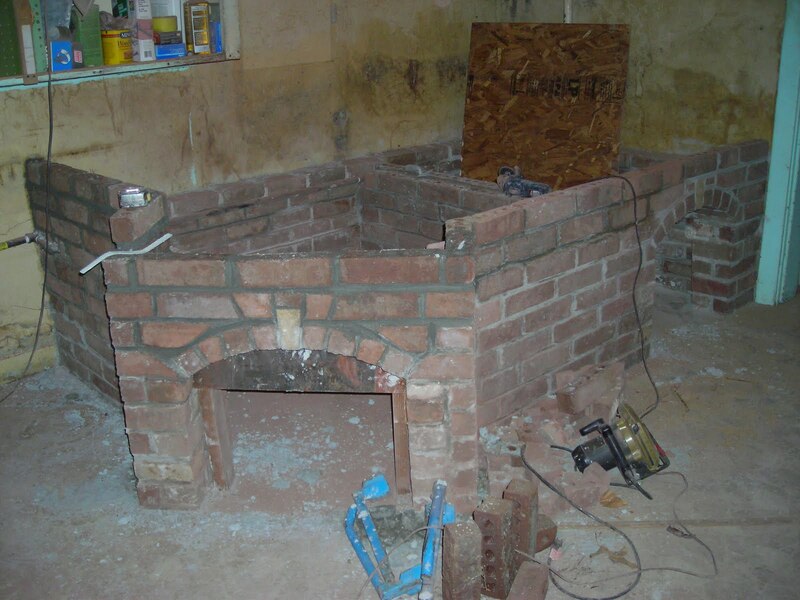 The darker colored bricks and mortar are todays work. The work below has been coated with the same fine layer of brick dust that pervades everything in the basement, much to my wife's chagrin. Here you see the bubble in my level. 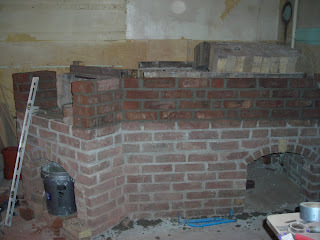 Though it looks pretty good in this photo, I can assure you that the actual brick work is not nearly so uniform. I am constantly vexed by this little bubble. It's looking good!! Can't wait to see your first baking!